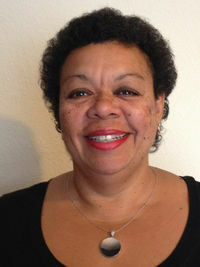 Yvette has had a career in people development spanning over 25 years. She believes that personal development is critical for delivering high performance business results and as such, her strong commercial acumen and business understanding enables her to put personal development in a business context. This gives her style some edge. She strives to build and sustain strong, trusting relationships with her team and clients which she considers essential to Moonraker Development helping clients achieve their successes. Before founding Moonraker Development, she held a variety of training, development and consulting roles and also spent time as an HR Director. Her early career roles were eclectic in that she held sales roles in a variety of different fields including agriculture and line management roles in leisure and department store retailing. Her mid-career included senior international roles working in the Czech Republic, Hungary, Poland and the US in communications and management development. She currently travels to Europe and Africa on regular assignments. She studied Business Studies and is a registered practitioner of Myers Briggs Type Indicator, FIRO-B, Strengths Deployment Inventory, OPQ, and Level B Occupational Tests and holds a licence to use The Influencing Spectrum Model from SRS – The Development Team Limited. She has recently become a Trained Facilitator for the Leadership Challenge from the work of Kouzes and Posner and has also undertaken continuous professional development in Gestalt, Transactional Analysis, Neuro-Linguistic Programming and Resilience coaching. She is a Professional Certified Coach with the International Coach Federation and trained as a Coach Supervisor with the Coaching Supervision Academy. Yvette and Moonraker Development are in Birmingham, West Midlands although her Wiltshire roots remain. She is a keen gardener and has spent far too much on creating her little back garden oasis! 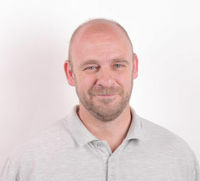 Campbell has fulfilled a range of people development roles since 2001. These include career development and performance management with a varied team of professionals in a major European IT services corporation. He has provided workshop facilitation and one to one coaching to individuals and teams from a range of industries, and from a range of nationalities including the UK, mainland Europe, India, Malaysia and China. 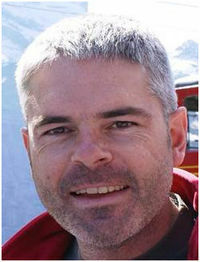 In 2012, Campbell launched his own company, offering coaching, professional development and consultancy services. He has since partnered with a variety of organisations to design and deliver management development programmes, bespoke workshops in project management and supplier relationships, and to provide one to one coaching. With Practitioner qualifications in PRISM Brainmapping (TM) and the UK Office of Government Commerce's "Managing Successful Programmes", and an ICF-recognised coaching accreditation, Campbell blends real commercial experience with a sense of humour, to make his engagements rewarding and fun. His work-life balance comes in the shape of two energetic children and a long suffering yet marvellously supportive wife who works in the IT services industry. Occasionally there is time for a round of golf (handicap 18 at last check), or for maintaining and even driving a 15 year old Lotus Elise! Campbell is based near Edinburgh, Scotland. Hayley applies a practical business focused approach, combined with strong interpersonal skills and a sense of fun to her training, to enable others to make a difference both in the work place and with their personal development. With 15 years’ experience in the retail sector in people development, line management and project management, her career has included team development, talent planning, and change management roles along with leadership and interpersonal skills training. She is qualified in MBTI, and an NLP Practitioner. 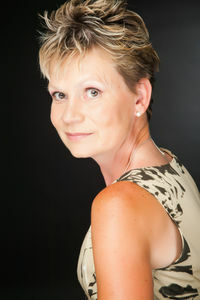 Hayley also has experience of working internationally in Slovenia, Czech Republic, Hungary, Thailand and South Korea. Having set up her own Training and Management Development consultancy, Hayley continues to follow her passion for people development, facilitation and coaching. Time out activities include regular sessions at Boot camp (when it's not raining!) and sailing for both fun and in competitive races - ideally in warmer climates. Nick specialises in facilitating leadership and strategic team development events. He is a highly skilled coach and works at a senior level supporting Directors, Partners and Senior Managers through personal and business transition. He started his career in operational management roles within the transport industry before moving into retailing in the management development arena. Nick has worked in development and coaching for over 15 years and has experience working across Western and Central Europe, USA and Central America. Creative, dynamic and a pragmatic leadership development specialist with considerable experience of working with Board and Senior Team Executives, he works and influences at all levels within any organisation through strong interpersonal skills. He enjoys working in a challenging environment and with people who are passionate about enabling positive change in an organisation. A Member of the Association of Coaching, Associate member CIPD and with a range of professional licences including a Certificate in Performance Development Coaching and Certificate in Training Practice, Nick continues to focus on his development. He is a registered practitioner of the Myers Briggs Type Indicator, FIRO-B and a NLP Practitioner. Living in Bradford, West Yorkshire, Nick is a Yorkshire man through and through and enjoys walking and, whilst no longer playing rugby, organising and fully supporting tours with the Veterans’ team. 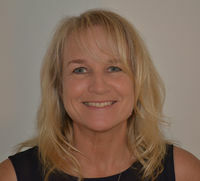 Vicky has enjoyed a career in people development for over 25 years providing her with opportunities to work in a variety of organisations with diverse managers and teams. Her passion is helping others to reach their potential and achieve personal and business goals with a simple and pragmatic style. She is always looking for ways to make a difference so at the heart of this is a continual focus on her personal development. She holds a psychology degree and is a practitioner of MBTI and OPQ. For fun, Vicky owns and competes her horses. They have also become instrumental in her work with vulnerable adults and individuals with learning disabilities. Their healing properties are remarkable and they teach you about relationships. They can’t lie.